The a3Di is a new inspection tool designed and built in Great Britain by Amfax Limited. 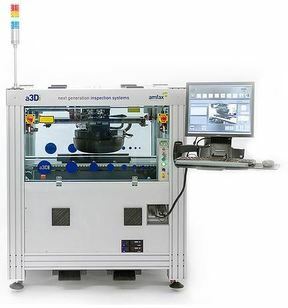 This innovative 3-Dimensional laser metrology system accurately profiles a PCBA and all of its components to validate the completed assembly against the 3D CAD design model. The a3Di system is unaffected by component types, PCB color, lighting, height, position or board warpage ensuring accurate and repeatable measurement inspection results with near zero false calls. The a3Di utilizes absolute 3D measurements to inspect PCBA’s up to 1x1Metre square in size . 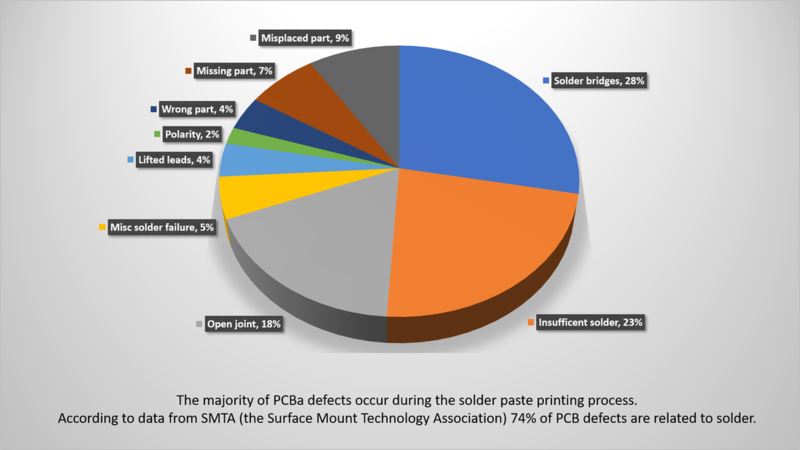 Metrology precision in PCBA inspection can help you eliminate process defects; defects you might not know are there. While the a3Di finds more true defects, its precision and measurement based programming limit false calls and the need for human intervention. a3Di - Solving the problems that your current AOI systems cannot solve? What makes a3Di so revolutionary for PCB assembly inspection? 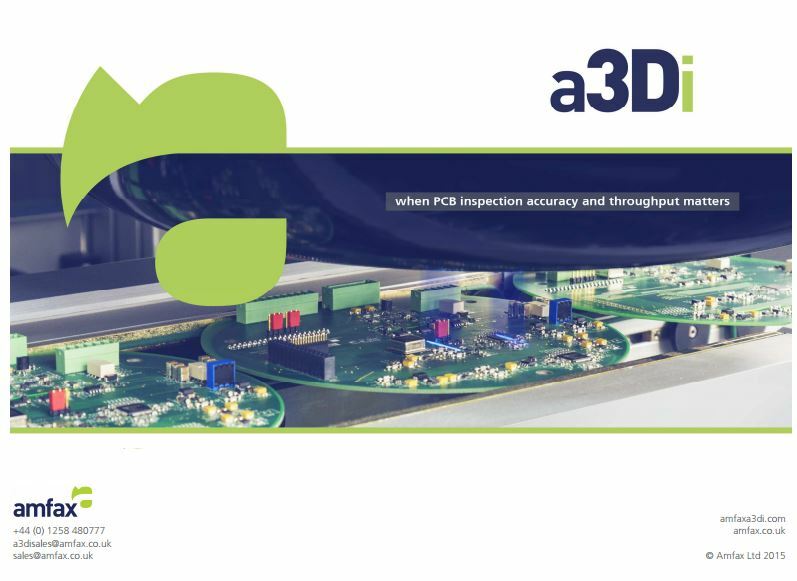 a3Di is a new patented concept in populated PCBA inspection, offering a cost effective, robust alternative to 2D and 3D AOI systems. 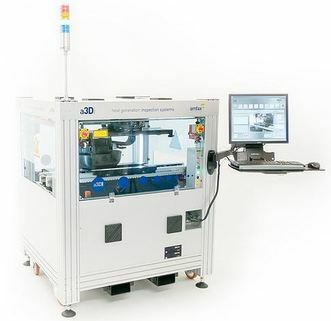 The system uses a laser-based absolute measurement technology to profile components and solder joints in true 3D . a3Di uses true 3D metrology to measure each component’s profile. These measurements are then validated against 3D CAD models to ensure that they are accurate and robust. The system is unaffected by the component’s or PCB’s colour, lighting, height, position or board warp ensuring accurate and repeatable results time after time. Programs are generated from CAD, debugged and typically stable within 1-2 hours. The results generated are x,y,z measurements with limits that conform to IPC 610 class 1,2 and 3 standards. These results can feed directly into industry standard SPC systems, providing real-time data to control and improve your manufacturing process. Very high speed inspection rates - 7,200 mm2​ /sec. Profile storage - complete 3D scans can be stored for future retest against improved and modified test limits without the need to re-scan. Absolute measurement system which means a real 3D mechanical inspection of components and solder joints. The results output is x, y and z measurements making true SPC possible, providing a new tool for refinement of the manufacturing process.